THINKING ABOUT STARTING THE EXIT PROCESS? Do you have a transferable entity, or a high paying job? Too often private, middle market companies are not prepared for the proper liquidity event they desire in their eventual exit. Buyers in the capital markets today are looking for a transferable entity not a high paying job. Risk mitigation in today’s buying community has become more important than the sophisticated engineering models of EBITDA. Most sellers realize this paradigm shift after it’s too late. Once an owner starts the process often times the “cracks in the sidewalk,” begin to appear. At IAG we work with you to develop a comprehensive exit plan that will fit your specific needs. Exiting a business means different things to different people and exit strategies can vary significantly. An owner’s goal may be to simply free up time, energy and resources to explore other interests or they may want to walk away from the business completely. Most likely, an owner’s goals are somewhere in between. Choosing the best exit strategy involves a careful assessment of your personal, family and business goals and circumstances. While financial needs are certainly an important factor, there are many other considerations that need to be factored into a well-planned exit strategy. If you know these strategies and decide in advance which one is best for you, then you have a better chance of leaving your business under your own terms and conditions. Without planning, you are more likely to settle for terms beyond your control. A comprehensive exit plan will consist of many areas both discreet and obvious. Sophisticated business buyers consider a number of factors in their evaluation of a company. We have identified over 93 important factors that buyers need to consider in determining the value of a particular company. These factors are divided into Personal, Business Operations, Industry, Legal / Regulatory, Financial, and Economic / M&A Market. Each factor should be rated as an area of strength, an area of potential improvement, or as neutral meaning it has no major effect on the value of the company. The company should then focus on highlighting strengths and mitigating weaknesses. Value Enhancement focuses on improving the profitability and cash flow of the business while attempting to mitigate the risk involved in the ownership of the business, making your business an “excellent” performer in the industry. This involves all aspects of the business to include facilities, production and personnel, as well as financial performance. 1. Is my company dependent on me? 2. How do I compare to other companies in my peer grouping? 3. Do I have proper management metrics? 4. Is my management team transferable or effective at all? 5. Is my client concentration adequate or do I generate business from one major customer? 6. What is my return on labor cost? 7. Can I portray quality of earnings or am I up and down? 8. How can I create critical mass in my company? If you don’t have a positive answer to all of these simple questions, IAG would like to present you with an opportunity to participate in our “ERA” or Economic Reality Assessment practice. This two-day analysis will help you and your family realize the areas of your business which need to be addressed before making the decision to sell. Let’s face it, there isn’t a perfect company, however buyers are demanding such. What good is quality of earning if you can’t graduate from due diligence? Contact us at info@saleyourbiz.com. 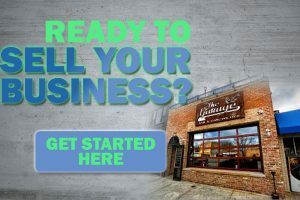 The IAG website at www.saleyourbiz.com can also be referenced for more information. Remember the last place you want to find out that your company is only worth a dollar (1.00) is at the closing table!! !